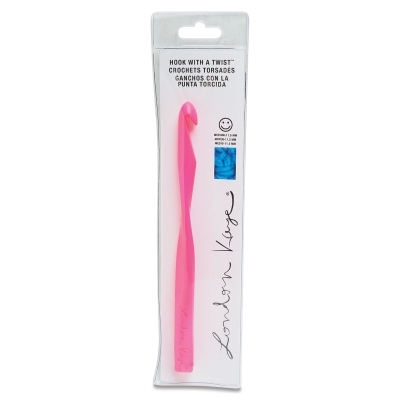 Crochet all day with Lion Brand London Kaye Crochet Hooks. These unique hooks feature a twisting, ergonomic design that helps make crocheting easy and fast. Made of plastic, they're very lightweight to minimize the strain on your hands and wrists. Available in three sizes. ® Lion Brand Yarn is a registered trademark.® London Kaye is a registered trademark.